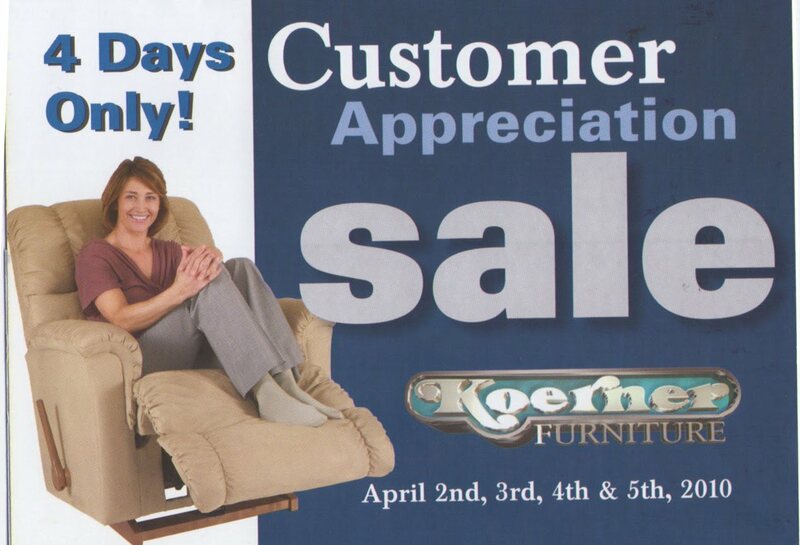 Oh... maybe it's a regular Customer Appreciation Sale. 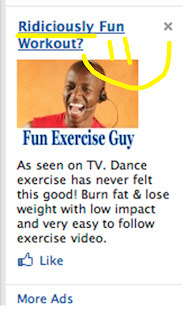 That's not any fun. Srephanie doesn't like those. 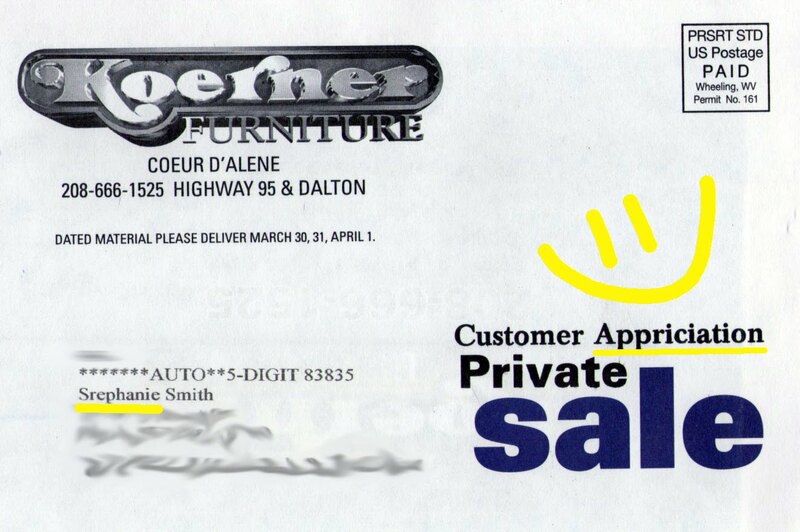 Hmmmm.... the Coeur d'Alene, Idaho businessmen Koerner brothers don't offer any additional Spelling Disasters in their little advertisement mailed from Wheeling, West Virginia. 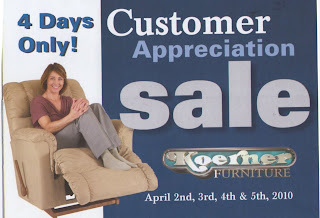 I do have to question why a small, local business in an area full of graphic designers, printers and mailers would job out their work to West Virginia. Sorry guys. I'm calling that a Business Disaster. Plus, I'm a good customer and you spelled my name wrong for the first time in 11 years. 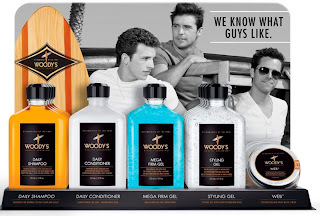 Was that 5¢ you saved worth losing a customer? Seriously. 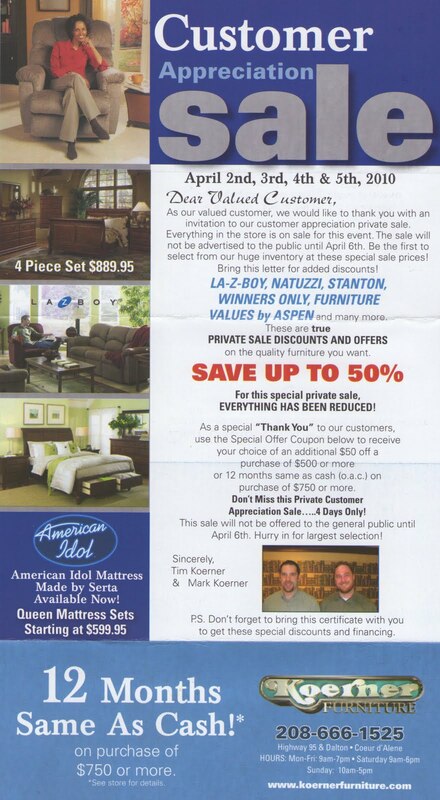 I planned to buy a new living room furniture set from you. It was a cool red sofa, etc. set. But do I want to spend over $1,500 with a store that forgot how to spell my name and doesn't hire me or my neighbors to produce their ads???? Um... NO. Anyting. Anyting at all. 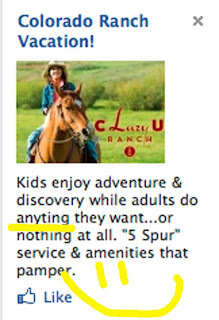 Yep, adults can do anyting they want... or nothing at all. Hey, this is the C Lazy U Ranch so nothing at all is just as good as anyting at all. Just ask Ms. Swan from MadTV. She knows eveyting as long as it looks a lika man. Come on everyone! 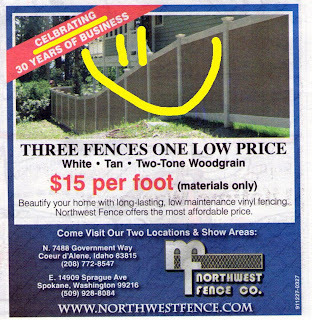 Let's help Northwest Fence Co. CELBRATE 30 years of business! This ad appears in the Home Experts tab that was inserted in the Coeur d'Alene Press. 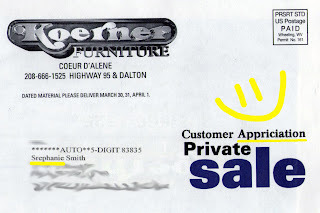 Home Experts not Spelling Experts. 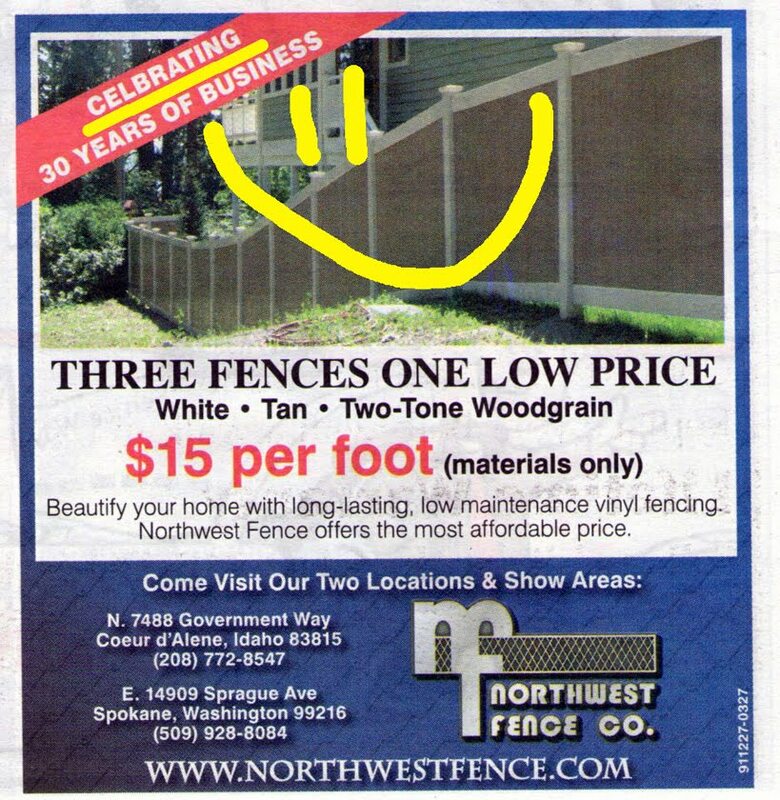 They're fence builders, dammit, not English majors! Thanks for catching this, Megan! Now let's go CELBRATE!! 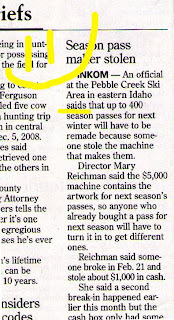 Aside from what she saids, it appears the Pebble Creek Ski Area needs better locks on their doors. 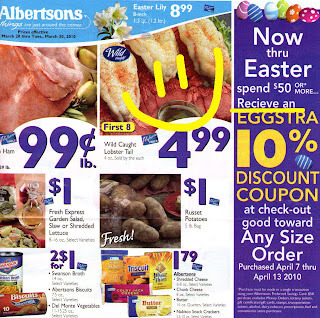 I before e except after c... unless you're Albertsons. They were so cute in their spelling of "extra" that not one of their proofers noticed the Spelling Disaster sitting right there in front of their eyes. Ah heck, all $6 billion American corporations should be able to toss the rules of spelling out the window, right? RIGHT??? Yeah, um, no. Sorry guys. "Caught this on The View on March 9th. I know Rep Massa had some issues but I didn't know transgender was one of them." Well, Dorene, he was accused of groping male staffers. 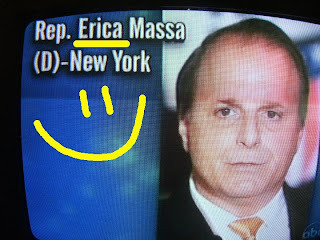 It could be his other personality, Erica, that was doing the groping. Nope. Even if it was Erica doing the groping, it's still creepy and just wrong. Silverwoood Theme Park has an early bird special for schoool groups. They have a Physics Day and Science Day. I think they should add a Prooof Reading Day. 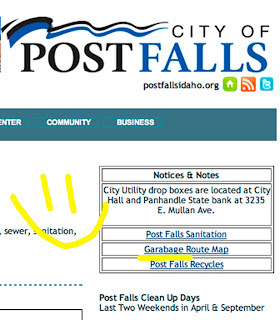 Post Falls' City Hall (nicknamed "Post Halls" by the Coeur d'Alene Press) has a "Garabage Route Map" on their site. We're going to assume this map will show where garbage cleaned out of your garage can be picked up. I have a lot of garbage in my garage. I wonder if the City of Hayden has such a service. "Post Halls". 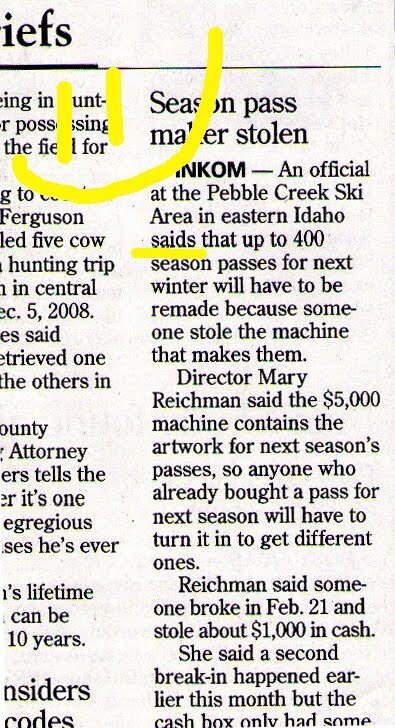 That's a simple way to combine the city name (Post Falls) with the location of the rally (City Hall). 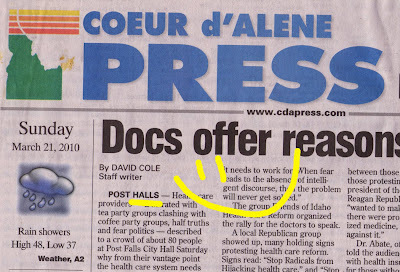 I'm positive that's what the Coeur d'Alene Press meant to do. Positive. Absolutely positive. I think. Maybe. 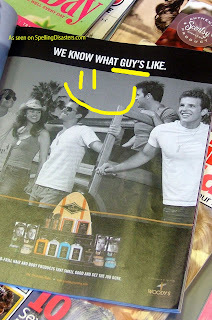 Hey, I'm just guessing here! Thank you, H & R Block, for a small moment of joy while preparing taxes. This grammatically funked out notice appeared in one daughter's return but she is getting a refund from the state so why would she not want to file??? The poor dear owes the Feds but they don't offer her the option of not filing. Hmmmm..... this seems like a racket. 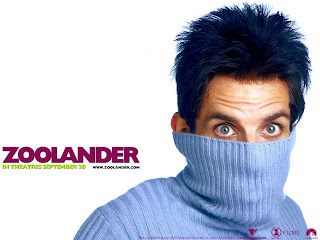 Oh, silly me! It's TAXES! Duh. 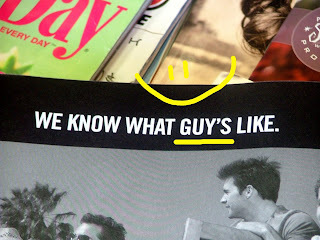 Who needs to use one of those pesky apostrophes? And commas? Heck with 'em! 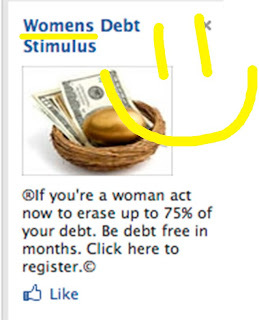 This company advertising on Facebook can stimulate a womans debt without those silly and unnecessary punctuation marks. Maybe they ran out of room. The registered mark and copy-write symbol do take up a lot of space. And they are completely necessary. How can one stimulate womens debt without them? 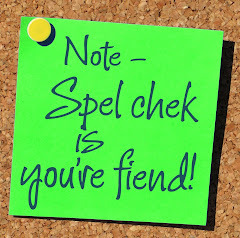 Let's do give them a round of applause for getting "you're" correct! 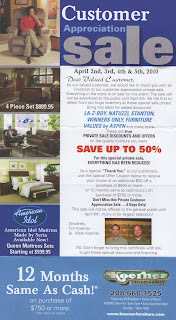 It's alway's good to fix the booboo's after the ad has gone to print on the back of a major American magazine. Thank's to Kerri's watchful eye's for this one!